Panjab University Recruitment 2019: Panjab University, Chandigarh / puchd.ac.in is conducting recruitment processes to fill 12 vacancies. As of now, there are four recruitment drives going on for Project Intern Posts, Project Fellow Post and others. Panjab University Recruitment 2019 - Job notification for Project Fellow Post on a project entitled “Small molecule inhibitors of indoleamine 2,3- dioxygenase: Development of new synergistic combinations of IDO inhibitors and TLR agonists as potential vaccine adjuvants” in Department of Chemistry & Centre of Advanced Studies in Chemistry, Panjab University, Chandigarh, Punjab/Haryana. Applications are invited by Panjab University, Chandigarh on or before 08 May 2019 for 1 vacancy. Panjab University Recruitment 2018 - Job notification for 15 Posts for Research Associate & Project/ Research Investigator Posts on a project entitled “Social Impact Assessment of Aero City Expansion (GMADA project)” in Panjab University, Chandigarh. Applications are invited by Panjab University, Chandigarh on or before 15 Feb 2018 03:00 PM for 15 vacancies. Interview will be held on 15 Feb 2018 at 11 AM. Panjab University Recruitment 2019 - Walk in for SRF Post on a project entitled "Metagenomic and Functional Characterization of Soy- based Fermented foods of North-eastern region" in Panjab University, Chandigarh, Punjab. Candidates are invited by Panjab University, Chandigarh to attend walk-in-interview to be held on 05 Apr 2019 at 10:30 AM for 1 vacancy. Panjab University Recruitment 2019 - Job notification for JRF/ Project Fellow Post on a project entitled “GEOGENIC STUDY OF URANIUM USING 10Be, 14C, 26Al and 36Cl BASED ACCELARATOR MASS SPECTROMETRY” in Chemistry Department and Geology Department, Panjab University, Chandigarh on Temporary Basis. Applications are invited by Panjab University, Chandigarh on or before 05 Apr 2019 for 1 vacancy. 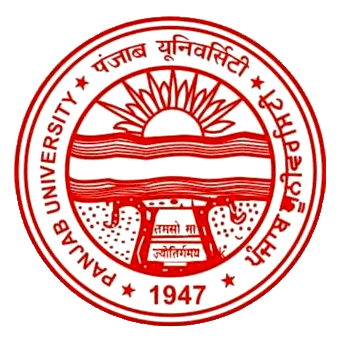 Panjab University Recruitment 2019 - Research Assistant Post (Walk in) on a project entitled " Socio-economic and educational status of migrant labour – A study of Punjab ” in Panjab University, Chandigarh, Punjab. Candidates are invited by Panjab University, Chandigarh to attend walk-in-interview to be held on 29 Mar 2019 10:00 AM for 1 vacancies. Panjab University Recruitment 2019 - Walk-in for Research/ Field Investigators Post on a project entitled "Socio-economic and educational status of migrant labour – A study of Punjab” in Panjab University, Chandigarh. Candidates are invited by Panjab University, Chandigarh to attend walk-in-interview to be held on 29 Mar 2019 at 10:00 AM for 1 vacancy. Panjab University Recruitment 2019 - Job notification for JRF Post on a project entitled "Studies towards synthesis of mono and bis-aryl Substituted Diazocine Ring of Trӧger Base/Trӧger Base Analogues and Investigations of their Utility in Asymmetric Catalysis/Medicinal Applications" in Department of Chemistry, Panjab University, Punjab, Chandigarh on Temporary Basis. Applications are invited by Panjab University, Chandigarh on or before 25 Mar 2019 for 1 vacancy.